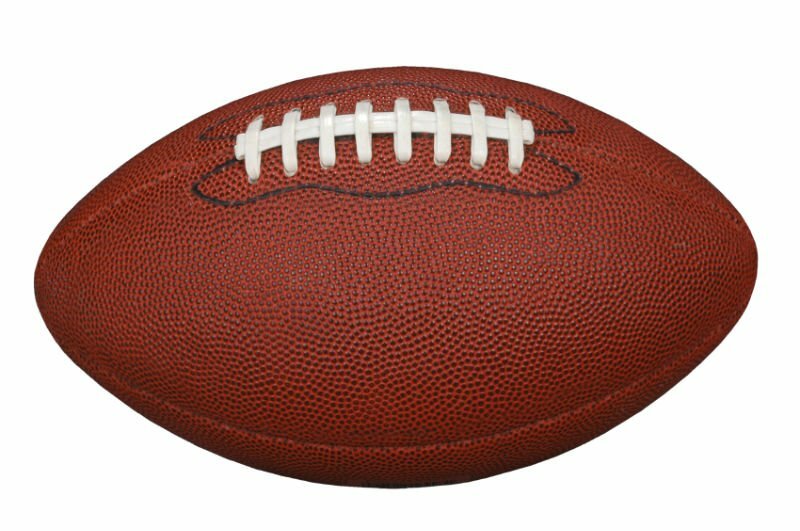 In December 1823, in the town of Rugby, England, a student named William Webb Ellis disobeying existing rules football took the ball with his hands and ran to the opposite end of the field becoming a goal. That same month James Monroe outlined the doctrine that bears his name. In our country in that same year the Battle of El Puesto took place between strongman Juan Facundo Quiroga and general Nicolas Dávila. Rugby rules were written on August 28, 1845 by three British students William Delafield Arnold, W.W. Shirley and Frederick Hutchins. These rules were amended in 1847 in Eaton and in 1848 in Cambridge stressing more skill than the force imposed by the game. The first rugby federation was founded on January 26, 1871 in Pall Mall London restaurant. That very same day in Argentina Julio A. Roca defeated Lopez Jordan of Entre Ríos in the Battle of Ñaembé. 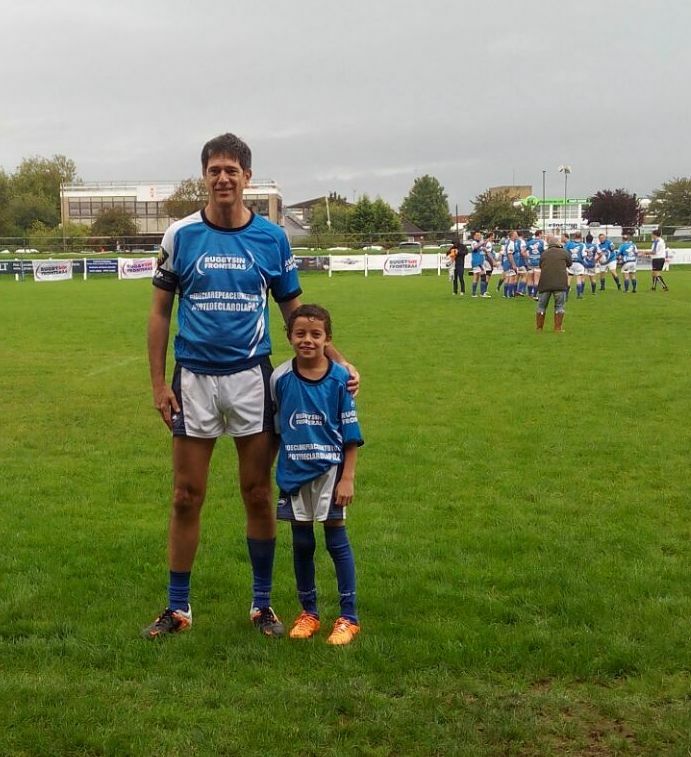 The first game of rugby in Argentina was played in 1873. This sport was introduced in Argentina by British immigrants. The first game of the Four Nations (England, Scotland, Wales and Ireland) was held in 1883. In 1899, three clubs of Buenos Aires and one of Rosario (AC Belgrano, Buenos Aires and Rosario Lomas Athletic) came together to form the River Plate Rugby Football Union (now the Union Argentina de Rugby). On March 24, 1934, in Hannover, at the request of France the FIRA (Fédération Internationale de Rugby Amateur) was founded. In 1965, the Argentine rugby national team toured Rhodesia and South Africa winning 11 of the 16 games played and in June 19 th achieved a historic victory over the Springboks by 11-6 at Ellis Park stadium. During that tour, the South African press baptized the team as Pumas, as the reporter of the weekly The Weekly Farmers noticed a printed jaguar in the shield of the UAR, and the Argentine shirts. On May 22, 1987 Rugby World Cup named Webb Ellis Cup was created. Since 1991 the song played for these championships (which was part of the original soundtrack of the film Invictus) is World in Union. 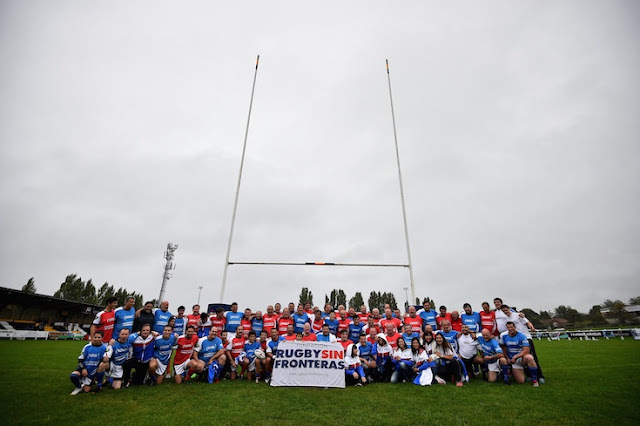 In April 2010, 116 national unions were recognized by the International Rugby Board. On Saturday August 8, 2015, on South African soil, the Pumas, as visitors, won an historic victory against the South African Springboks by 37-25, in the city of Durban, in the Kings Park Stadium as part of the Rugby Championship. This was an elite competition involving the four rugby powers of the southern hemisphere: New Zealand, Argentina, South Africa and Australia. This victory marked the first official triumph of the Pumas against the greatest South African rugby selection. From its origins this game always revealed oppositions: strength against skill; fair play against unfair play, etc. An old British saying goes that "soccer is a gentleman's game played by villains and rugby is a game of villains played by gentlemen". Invictus is a true sports drama film of 2009, directed by Clint Eastwood and starring Morgan Freeman and Matt Damon. The story is based on the book by John Carlin, Playing the Enemy: Nelson Mandela and the Game That Changed a Nation. 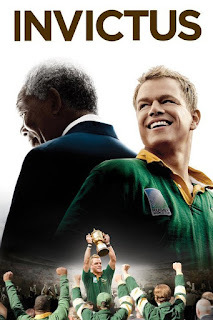 The film is about the events in South Africa before and during the 1995 Rugby World Cup, hosted in that country following the dismantling of apartheid apartheid system. Freeman and Damon play, respectively, South African President Nelson Mandela (1918-2013) and Francois Pienaar (n. 1967), the captain of the Springboks. 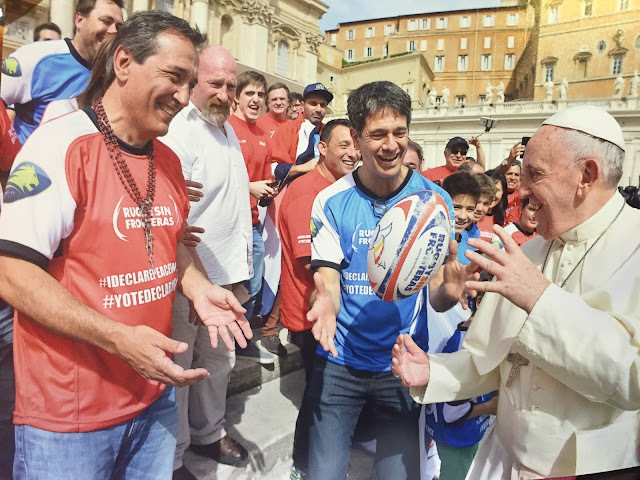 Rugby Without Borders established in 2009 is an organization dedicated to promoting social values ​​to build peace through actions of awareness, training, and assembly of high-impact events taking rugby its human essence. "In the cemetery of Darwin I had a heavenly meeting" with my 649 comrades buried there. I hugged them all against the peat. There they appeared, all of them whom I buried and never met. They were not bad, they were feeling good. They told me that the land belong to everyone. Or when we go to the Colosseum we feel bad because its Italian and not Argentine? They belong to all. As our obelisk also belongs to everyone. Is it necessary to kill to be able to touch and enjoy it? They said that they died in order that there be no more wars and that they hope their message would be spread. They died with courage and fulfilled their duty. Our duty is that that there be no more deaths from now on. RSF is finishing a documentary called The other way to the Islands; revealing the devastating consequences that the 1982 conflict brought to Argentine and British. Argentine and British War Veterns on September 21st, -Evan Porter-Upworthy-Sept 23,2015. Alejandro Acosta: Compañía de Comando de la 10ma Brigada de Infantería Mecanizada. He was in Port Stanley, Moody Brook, and then the Command House. Fabián Abraham: 2da Escuadrilla de Apoyo Logístico Móvil. He was at the Airport, and then near Pembroke Lighthouse. Ricardo Pérez: Port Stanley pier, airport and Moody Brook. Héctor Berro: Port Stanley pier, and participated in the mining of Port Stanley entrance. Roberto Herrscher: Crew of the “Penélope” sailing over Strait of San Carlos, Fox Bay and Port Stanley. Alejandro Diego: Port Stanley pier initially. Then part of the crew of ARA “Bahia Buen Suceso” ship, sailing from Port Stanley to Darwin, Strait of San Carlos, Howard and Fox Bay, where two Harriers attacked the ship, and then landed on Fox Bay, where he received several navy bombs, and air attacks. 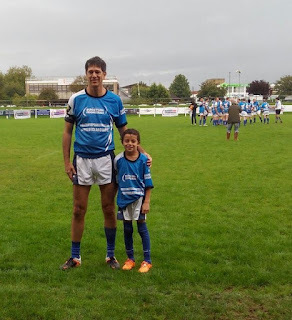 Former rugby player Christian Martin(left) prepares for the scrum between Argentine and British war veterans which took place in Esher Rugby Club (Surrey)on September 21st, 2015. "I like the opportunity of meeting people 33 years later who fought against me, who followed orders like me. I want to shake their hand," he said. “I realized many years ago that all of us who fought that war were someone’s son or husband. We were pawns in a political game,” he added. Jackson said that the veterans of any war are united by their shared experience of conflict. "We have a different sense of humour, our work ethic is different and that's what binds us together, our differences as civilians," he said. I personally wish that this event would come on top of all international newspapers but I remembered a statement made in 1935 by the American presenter Phil Donahue: To a journalist, the good news is often not news at all.